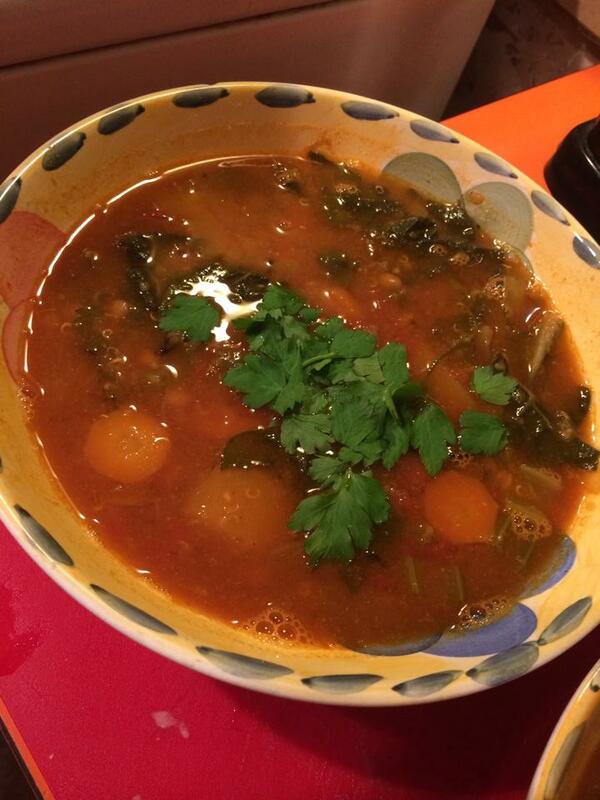 Sunday nights have become the new night to experiment with soups and stews and here is a delicious, spicy chunky lentil, quinoa and white bean stew for you to try. Hope you enjoy as much as I did. This dish is full of protein, vitamins and fibre and the perfect pick me up in the cold, wintery months. 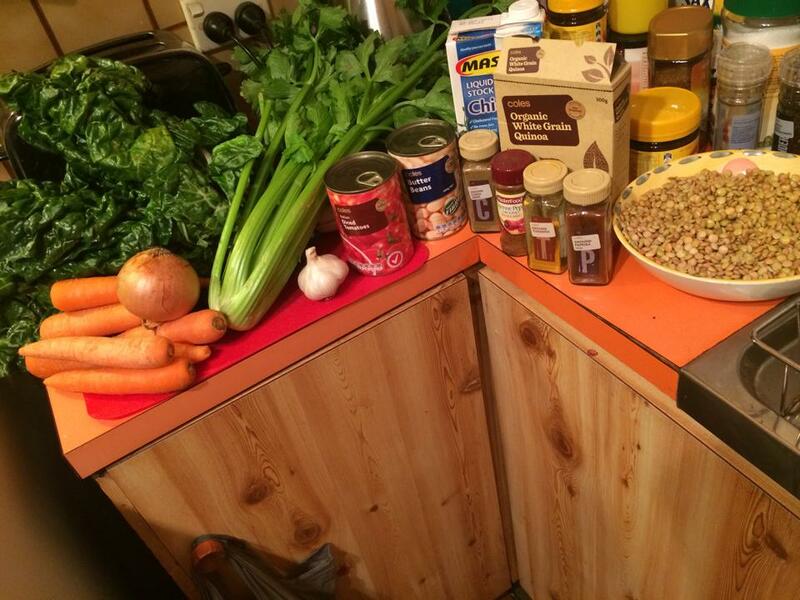 STEP 1 – Gather all of your ingredients. 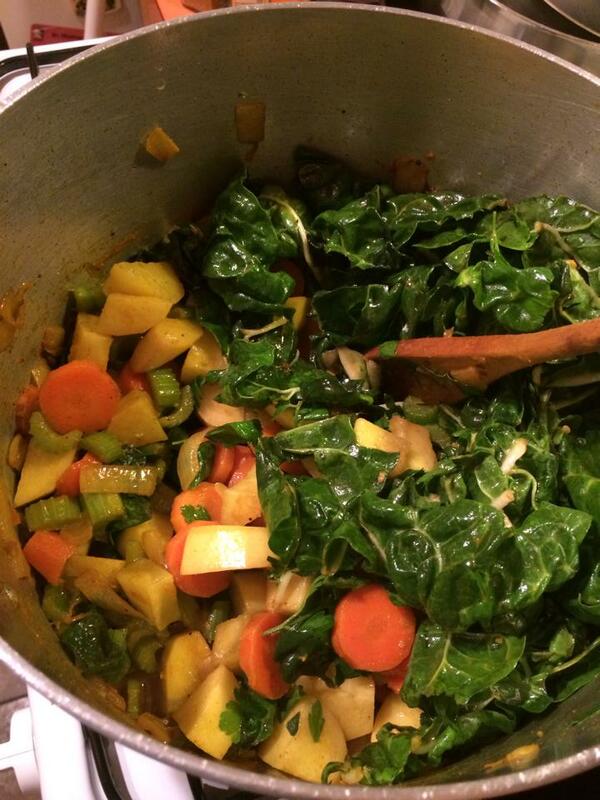 I always make a huge pot for the week so used a bunch of celery, 6 spinach stems, 5 carrots, 2 onions, 6 cloves of garlic, 4 potatoes, 2 cups of green lentils (soaked in cold water all day), a cup of white quinoa, vegetable or chicken (no animal content) stock, 2 tins of crushed tomatoes, can of white beans and paprika, cumin, cayenne pepper and turmeric. STEP 2 – Chop up the onions, mince the garlic and sauté. 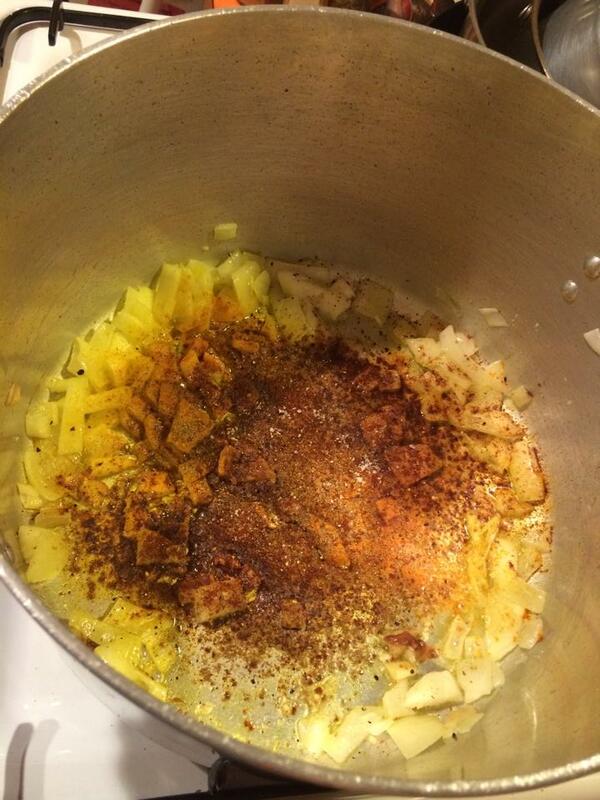 Add a teaspoon of each spice (or more to your liking) and cook until fragrant. 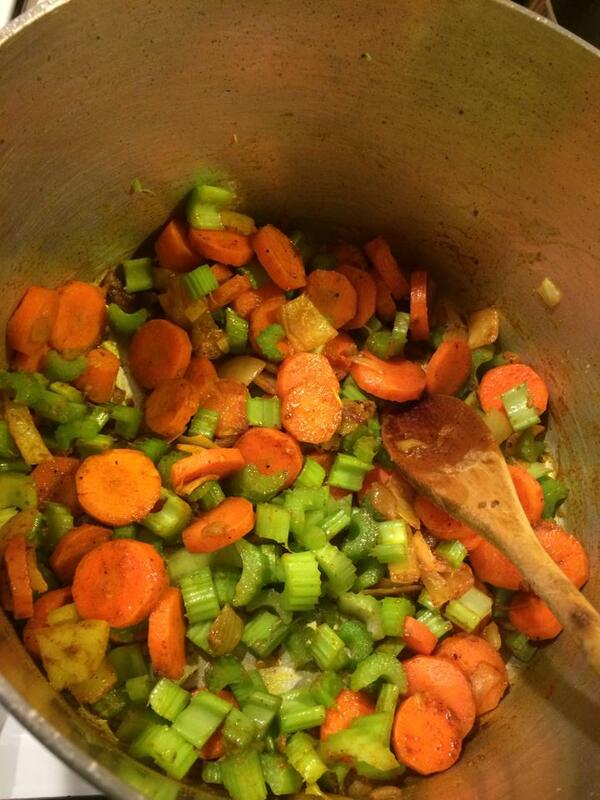 Then add the celery and carrot and cook for 5 to 10 minutes. 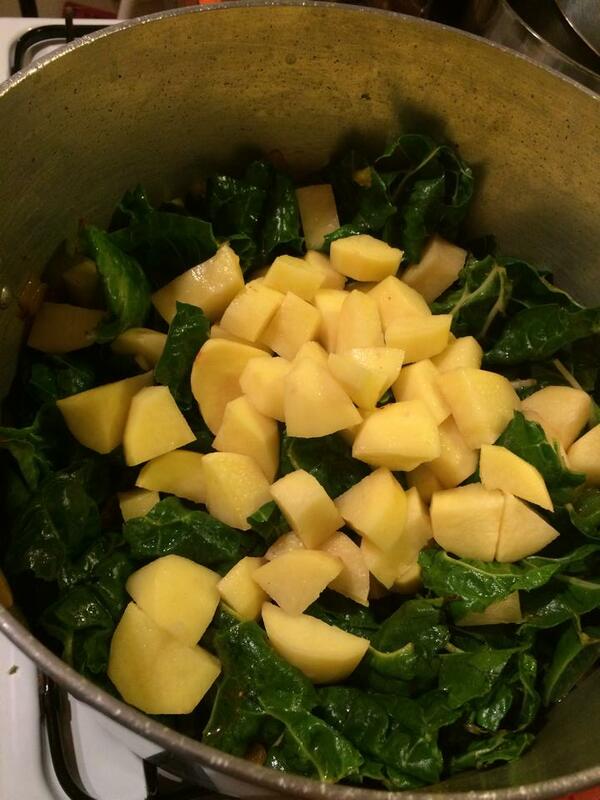 STEP 3 – Add the spinach (without stem) and the potatoes and continue to cook for 5 to 10 minutes. 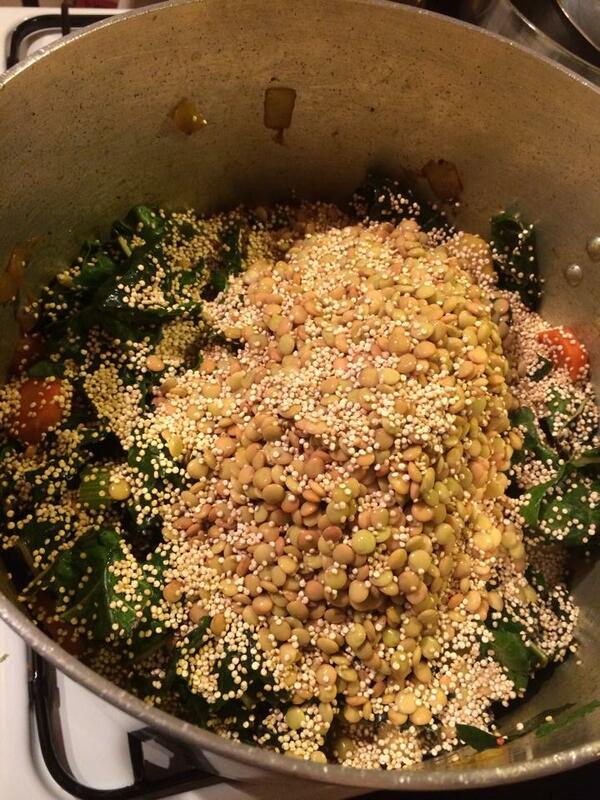 STEP 4 – Add your lentils, quinoa, white beans and stir through. 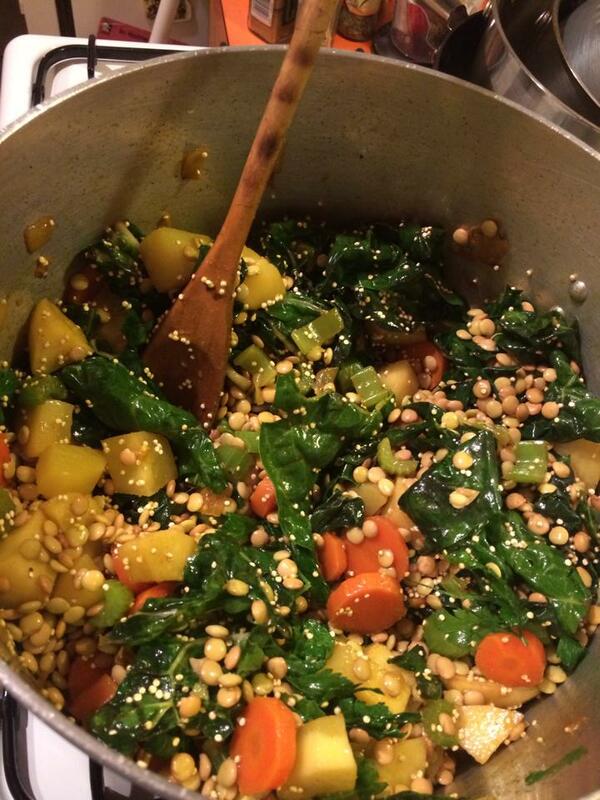 This entry was posted in Uncategorized and tagged cooking, Cruelty Free, food, health, healthy, lentil soup, lentils, plant based, soup, stew, vegan, vegan cooking, vegan food, vegan soup, vegan stew, vegetable soup, vegetables, What Vegans Eat. Bookmark the permalink. Definitely perfect for our weather and my pantry because I have a big oversupply of canned white beans!